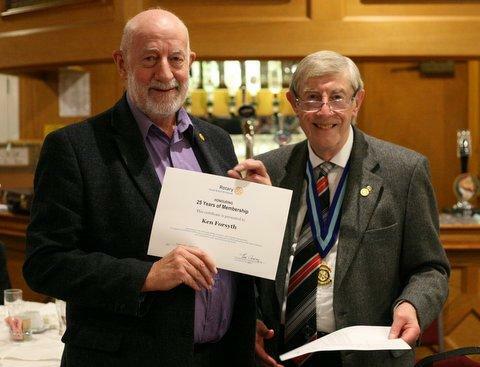 The meeting of the Rotary Club of Sowerby Bridge on the 16th January was very special in that it celebrated 115 years of service to the club spread across three of our members. 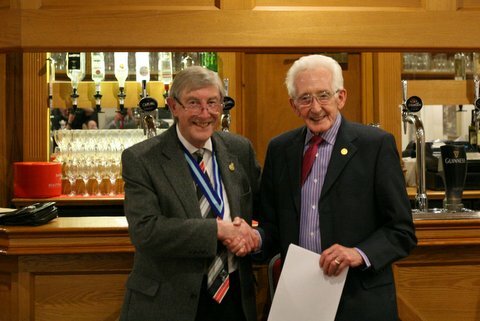 Dr Brian Whitaker has just passed the 50 year milestone, closely followed by Stan Topliss with 40 years and the 'youngster' Ken Forsyth 'only' 25 years. 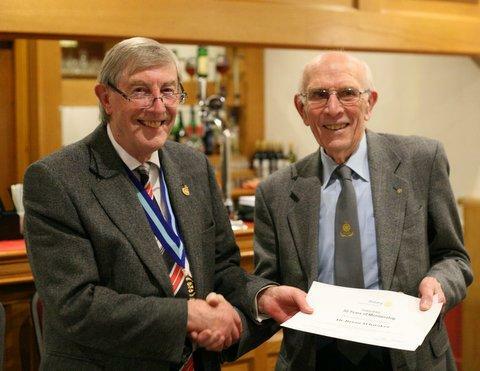 The event was kept a secret from the recipients who turned up expecting a 'bog standard' meeting - although, of course, there is nothing bog standard about Sowerby Bridge Rotary Club meetings! So they had a pleasant surprise when partners were present also, they were each presented with a certificate and Brian with both a cake and presentation plate. Here's to the next 50 years, Brian!